This shaver’s ergonomic features are a standout. It’s our favorite electric razor, the Braun Series 7 790cc Shaver. It features Sonic technology that attracts facial hair at 10,000 micro-vibrations. 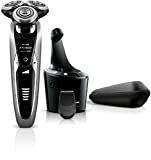 This best electric shaver comes with a few upgraded and intuitive features vs its previous model. Its automatic sensing motor and adjustable 5 turbo to sensitive modes work with maximum efficiency and precision. We found that the Philips Norelco S9311 Shaver does an excellent job for what it’s worth. Even though its price is too high, it has the kind of performance boost you need. Well, if an electric shaver is worth buying at a high price, it’s also worth using it well. And that’s possible with this best product’s 8-direction shaving head, durable AquaTec technology which allows both a dry and wet shave, and its SmartClean system. On to a more affordable and cost-effective pick, the Remington F5-5800 Foil Shaver features surgical-grade blade, a long-lasting 60-minute battery life, and an ergonomic pop-up trimmer. Shaving in a hurry every morning? Rest assured, this is the best electric razor for that job. It offers a good LED power display for better handling. And the striking 2-year warranty, despite its low cost is grabs all the attention. Don’t you think? The best way to distinguish between a wide range of best shaving tools is to know a bit about them. How they have been used over the years and the way best shaver technology has evolved to modern consumer choices. Truth be told, this tool hasn’t seen much alterations. So what’s next? The invention of such stellar technology has seen its good and bad days. And this determines how close the best electric razor shaves without hurting your facial skin. The power of such hair removal technology is why brands offer ergonomically advanced features such as rotating blades, grip, pop-up trimming heads, and other accessories. Here’s the thing: The best shaving tool is one that gives you a close shave without compromising on speed or efficiency. And when it comes to its cleaning systems, shaving tools of this generation offer washable and removable attachments. So it’s become incredibly convenient to shave and clean the shaving blades than before. According to reports, motor-driven shaving is the most cost-effective and economical option for everyone. This is because most people who use a shaver shave dry. This cuts down costs for buying shaving gel or shaving cream. And with no additional costs to put up with, the longevity of the best electric shaver is twice as long. Making the initial investment of a motor-driven shaving tool worth its money and performance. You might prefer an electric shaver over a manual razor because it is easier to use. Electric shavers contour the face, do not cause skin irritation or bleeding during a close shave, and they feature flexible shaving and trimming heads, unlike a razor. All these factors shape the way electric razors are used today. We determine the best products for you based on a number of factors. Regardless of whether you’re browsing for the best electric shaver for yourself or as a gift to someone else. In a market brimming with hundreds of shaving tools, evaluating the best ones with its features is vital. Blades: The key aspect that shapes a shaving tool, the blades are the only part of an electric razor that comes in contact with your hair. It lifts, grabs, and pulls your hair away from the skin. Unlike manual razors, these blades are supported by a fast-moving technology that doesn’t split hair follicles. Having said that, there are two main types of blades or motor-driven razors you should know about. They are foil and rotary electric razors. The former uses metal-grade, high-quality straight blades. And the latter uses rotating cutting heads supported by durable mesh disks. Foil electric razors are suitable for anyone with thick and uneven hair. They outperform rotary shaving heads, but require more day-to-day care and maintenance. This is because foil electric razors are thin sheets. While rotary blades are thicker in addition to their mesh disks. Handle: The battle between an ergonomic handle and a thin handle is still going strong. But regardless, all best motor-driven shaving tools come with a metal and plastic combination handle that fits the shape of your palm comfortably. This offers plenty of gripping, usability, and avoids slipping if you’re wet shaving. Battery charger: The ability to recharge batteries that have a 60-minute run-time is good enough for most people. It’s also good for traveling, portability, and accessibility. However, many best electric razors come with cord performance only. If you’re planning on using the electric razor in your own home, a corded battery unit is applicable. But for traveling purposes, a cordless battery charger is ideal. Display: Some advanced electric razors come with battery warnings with a charge indicator or an LCD or LED display. You can count this factor out as an accessory, but it’s well worth the investment if you’re always on-the-go. If you’re buying an advanced model, it must have an ergonomic design as well as mode settings. So calibrating such technology is much simpler with the help of an intuitive display, isn’t it? Cleaning system: When it comes to choosing the right cleansing system for your best electric razor, we chose those that are incredibly easy and convenient. For the money, a good in-place cleaning system is worth it. Good motor-driven razors come with removable parts that can be washed for general up-keep. So you do not need to purchase a stand-alone cleaning system. If you ask me, if you really want to buy a stand-alone cleaner, opt for a model that comes with one. There’s no doubt that the cost of the purchase might increase by a few bucks, but it gives better results and is more comfortable. You no longer have to resort to hand-washing your electric razor every morning. Carrying case: This is an overlooked factor for choosing a motor-driven shaver. While some people might consider it an accessory, we think of it is a necessity. Your electric razor is made up of 2 main components that need protection when unused. They are the head and the foils. If your electric razor lacks a protective case or carrying pouch to cover the head and the foils as they are delicate, it’s time to upgrade to something that does. Moving forward, avoid using razors that feature a snap-on plastic cover case as they break or come off during transport. Many low-end brands offer plastic semi-hardshell head guards. You’ll find that the Braun Series 7 790cc makes the fewest compromises for its high-quality design and valued cost. The build quality is amazingly substantial, it has a water-proof design and a cleaning efficiency of at least of 30,000 cross-cutting action per minute. The contour flex head shaves in 8 unique directions. That is, it gets the job done, leaving you no time to doubt its superb technology. Lastly, for a dry shave, it does a close shave as the body is comfortable to hold on to and it runs quietly too. If you’re looking for an electric shaver that outperforms other expensive picks on the market, the Braun Series 7 790cc is the one for you. However, the travel case the Braun Series 7 comes in is faulty. The handle and cap is not fit for transportability as it might break if placed under pressure. The hard-sided travel case hits the foil head when covered during mobility. So it’s best you keep this shaver at home and buy one that efficient and rigged for travel. The Philips Norelco S9311 is a durable and versatile motor-driven razor. It is also an upgraded contender than its previous model, making it one of the best close-shave and ergonomic electric shavers to buy. It has exclusive V-track precision blades along with 8 directional heads. This is not only for improving contouring, but also stabilizing each cutting position you need. On the plus side, the speed settings and LED advanced display offer better accessibility. What the Philips Norelco comes with- not many shaving tools have the power to boast of. Which is why you need this now more than ever. Even though you can buy a best, budget-specific motor-driven razor from anywhere, that doesn’t mean you’ll have a good time using it. The Remington F5-5800 lets you do everything from trimming sideburns and thick growth to shaving perfectly along the curves of your face. It doesn’t use too much of pressure while shaving. Plus, the Pivot and Flex Technology and pop-up trimmer make it an ergonomically sound choice. Unlike many rechargeable battery-powered shavers, this one runs for as long as 60 minutes. And comes with an LED display that lets you know how much power is still remaining. 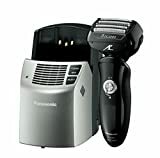 A motor-driven shaver this good has its own DynamicFlex technology backed by it. The Philips Norelco 3700 Shaver is a clean precision shaving tool. It is specifically designed to suit the needs of sensitive and itchy skin. Its Gentle Precision blades offer the closest shave there is, but without the fuss. If in the past, you’ve been victim to skin irritation and redness, that’s because your old shaver lacked comfort rings. What are comfort rings, you ask? This product features comfort rings that have microbead coating to reduce friction. So the blades gently glide along the curved surfaces of your face. Resulting in no skin irritation, cuts, or redness. The Philips Multigroom Norelco 3000 is the ultimate solution to all your problems. It’s the ideal all-in-one shaver for nose hair trimming, hair trimming, beard trimming, stubble trimming, and for getting rid of thick hair around the chin and neck. There’s no denying that shaving your facial hair can get messy. And with the wrong shaving tool, it gets even worse. That’s why you need this best electric shaver. It features a 60-minutes rechargeable battery life. The tempered steel blades of each trimmer head is built for precision. Lastly, it comes with all washable attachments for a hair-free and clean after-shave. If you travel a lot, you’d prefer taking an inexpensive and compact shaving tool than a high-grade one. And for that purpose, we have the Remington PG6025. 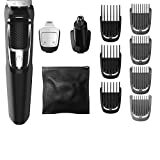 It’s the absolute grooming kit with sharp, surgical-grade trimming blades that give you a smooth and comfort shave each time. This best electric shaver is lithium powered and has a 65 on-the-dot runtime. Even though this trimmer won’t pull through for an entire year, it has the kind of features you will absolutely love. For example, you can trim your sideburns, neck, and facial hair without using a comb. It even features a detail foil shaver for the closest shave. And it has the extra tools that make it a good ear, nose, and eyebrow trimmer. All this you’ll find safe and sound in its very own travel storage pouch. With so many electric shavers on the market, the Panasonic ES-LV81 Arc5 makes wet or dry shaving the easiest. It features a face-contouring multi-flex pivot, which conforms to your curves be it close to your neck, ears, or chin. The 30-degrees stainless steel Nanotech blades offers complete care and stability. Especially for people with sensitive skin and allergies. With 14,000 cycles per minute, this best electric shaver captures longer, thicker, and stubborn of hairs. What more do you need? Do you want a shaver that trims to that perfect stubble? Try the Wahl Professional 8061-100 Shaver. It’s the first-place choices for its portability and performance. The product features a hypoallergenic foil with bump-free trimming. It’s both a cord and cordless rechargeable shaver which makes usability more comfortable and convenient. If you’re looking to save some money on new blades, this product is an overall good tool. It needs a head assembly once every 3 months, which is perfect given its affordable price. 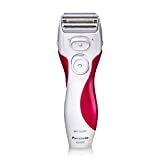 The Panasonic ES2207P Electric Shaver is the best electric shaver there is for women. It comes with an ergonomically advanced 3 floating head system. It works as both a wet and dry razor with a pop-up trimmer for getting rid of stubborn hair at the sides. The 3 blade technology gently contours to your skin, leaving it smoother and shinier than ever. Plus, for efficient charging, you will find the compact charger extremely handy. What I loved the most about this shaving tool is the affordable price tag. The ergonomics of this tool match the performance of a high-grade shaver. So it’s a deal well done, if you ask me. The Panasonic ES8103S Arc3 has a flexible and effective pivoting blade. It features a 10-stage LCD display for battery power, cleaning notifications, and modes. Making it one of the most efficient shavers for men. If you prefer both dry and wet shaving along with washable razor, this one is for you. The product even has its own pop-up male grooming trimmer and sonic vibration blading technology. What I loved the most about this tool is that it can be used by both women and men. The faster vibrations speed and mode settings make it more practical during operation. We only featured products featuring cutting-edge technology with long-lasting durability. The featured products are great for anyone looking for an upgrade without compromising on quality or performance. All our products meet expected standards in terms of durability, usability, portability, and performance. And while you’re actually looking into it, they’re good for both women and men. It’s time to maximize the way you use your best electric shaver. No matter what product you choose, you’ll need to know how to use one and how often. That we will cover, along with other common queries regarding best motor-driven razors, in the next segment of this article. Q. How do electric shaving tools work? A. Unlike conventional razors, these tools do not come in direct contact with the skin. Instead, they use a scissor-like cutting action to get rid of facial hair. An electric razor is run by an oscillating motor which makes the foils run in a circular motion. These moving blades run against the foil between the tool and your facial skin. Because motor-driven shaving tools do not touch the skin, they do not cause skin irritation or redness, unlike other razors. Modern shavers can further be divided into two categories based on how they function. Foil electric shaving tools follow a simple, yet very effective mechanism to remove hair. The razor moves in a straight line, back and forth under the screen. This pulls the hair out of the skin in quick and pain-free motion. In a foil shaving tool, the screen has holes or minute perforations the size of hair follicles. So the hair doesn’t block the functioning of the razors inside the foil. A standard foil shaving tool contains at least 4 rows of blades. You can opt for a motor-driven razor with more than 4 rows of blades. Some brands offer products with multiple blades and foils, positioned on top of each other. These are generally referred to as double or triple foil shaving tools. A rotary electric shaver is supported by springs that hold together round or circular foils. This type of shaving tool is ideal for thicker hair as the foils or blades contour the curved surfaces of the skin to shave hair. The foils, with the help of the springs, pivot and shave hair without touching the surface of the skin. So the skin is left free and away from bruises or irritation. Q. 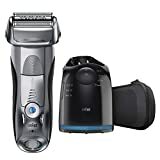 Which type of electric shaver is best for me? A. There is no better motor-driven shaver out of the two. Both types work, but in a general sense, this is what you should know about foil and rotary shaving tools. You have a thick and harder than usual facial hair growth. You want quiet operation as opposed to the mild noise foil shavers make. Your facial hair grows all over the place. That is, it doesn’t grow in one direction. Your skin is not very sensitive. You get coarser hair in your neck area. You have a thin facial hair growth. You shave on a daily basis. You admire an extremely close and clean shave. Your facial hair grows in one direction. That is, straight and fine. Q. What do you mean by wet and/or dry shaving? A. Based on our reviews, we’ve compiled a few best products that are suitable for both wet and dry shaving. What this means is that you either use a shaver with shaving cream and without. It’s a common mistake that consumers make to believe that a wet shaving tool can be used in the shower, but that isn’t so. The reason why so many people opt for a wet shaving tool is because of sensitive skin. Dry shaving may be the most economical option for most, but it does come with its drawbacks. Even though wet shaving can get messy, at first, it is an incredible way to shave with sensitive skin. Here’s what you should know about wet and dry shaving. A wet shave offers the closest shave you could possibly imagine. Especially if you shave on a day-to-day basis. It’s a fairly traditional way to shave for both women and men. Women use shaving cream for fine hair removal to avoid bleeding. Especially if they have thick and coarser hair. The same technique applies to men who have hair growing all over their face. A good shaving cream contains ingredients that soften and moisturize the hair and skin. And with softer hair, it is easier to do a clean shave without causing skin irritation. Another advantage of wet shaving is exfoliation. A shaving cream is also designed to remove dead skin cells from the epidermis. Leaving your skin smooth and shiny after every shave. However, the cost of wet shaving creams and tools can be a bit pricey. This is a concern for anyone looking to buy within a budget. Additionally, wet shaving tools need to be replaced once every few weeks so they can keep up with shaving creams. Dry shaving uses no water or shaving foam or shaving gel for a quick and hassle-free solution. Studies suggest that dry shavers are the most economical products to buy for personal grooming. 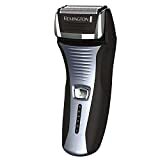 If you need to quickly trim or shave your beard before leaving home every morning, this is undoubtedly the best motor-driven shaving tool for you. A good dry shaving tool is portable, durable, and comfortable. It even features ergonomically advanced features, which makes it ideal for traveling. For anyone wanting to control his beard length and shape, a dry shaver is ideal. However, you need to buy the best electric razor with advanced features and efficiency. Otherwise, it wouldn’t last you for more than a few weeks. This means paying a little more than anticipated for a durable product. Q. How to use a shaving cream for wet shaving? A. Now that you understand the key basics of wet shavers, you need a good shaving cream with all the right ingredients. A high-quality shaving cream should consist of substances that soften the outer layer of the hair, also known as the cuticle. Once the cuticles are softened, as a result of absorbing water, they swell and become much more penetrable. So the sharp blades of a rotary or foil electric razor can cut through them without a fuss. On a side note, using steam or water can help make the cuticles softer and bigger to shave. While it also reduces skin irritation and razor burn. The healthy way to use shaving cream with an electric razor is to gently massage the cream or gel or shaving foam into your face. Do this after you’ve washed your face with a good exfoliating face wash. Next, let the shaving cream sit on your face for at least 5 minutes. During this time, the substances in the shaving cream with soften the cuticles and the hairs. If you’re unable to coat your entire face, evenly, with a shaving cream you can use a shaving brush for a thicker lather. Next, use an electric razor that offers the closest and more accurate shave possible. Only then will you be able to make the most of your shaving cream. Don’t forget post shave treatment: Once you finish shaving your facial hair, wash your face with water and use an after-shave face lotion. Do not use any alcohol-laden cream or gel on your face as that will cause skin burning and redness. Your skin pores are prone to absorbing water and substances after a close shave. So you don’t want to inflame your cuticles by applying creams with alcohol or a heavy substance in it. Q. How much should I expect to pay for the best electric shaver? A. The cost of owning a motor-driven razor is based on your preferences and the brand you’re opting for. While some features of an electric razor vs a disposable razor cannot be quantified- the cost of buying one can be. As it has already been mentioned, the cost of owning a dry and wet shaving tool varies. Since wet electric razors require the additional use a shaving cream. With the follow table, you will be able to better understand the difference in costs for a best electric razor. The key takeaway here is that owning a dry electric razor costs much less than owning and using a wet electric razor. Over the course of 3 years, you are expected to spend at least $100 in replacements and repair. On the other hand, for wet razors, you’re expected to spend twice as much. 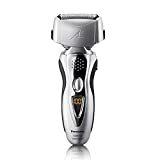 The cost of expenditure can also elevate based on how often you use the best electric razor. Q. What is the right way to clean a best electric shaver? A. Even though motor-driven razors are convenient and compact, they require thorough cleaning and maintenance. That said, whether you’re using a foil or rotary motor-driven razor, this is what you need to know. Always clean your electric razor in the sink. Hold the low half part of the razor and angle the head toward the mouth of the sink. This is important because your razor houses many dead skin cells and bacteria. So you wouldn’t want them falling on your bathroom floor or on your body. Make sure the motor-driven razor is turned off and unplugged from the socket. If it is a rechargeable battery-operated product, remove the batteries. If the water penetrates into an activated shaver, it might lead to an electrocution and potentially spoil the best electric razor. Remove the head of the shaver using its simple snap-on and off mechanism. Press on the small clip under the head of the foil and apply pressure on it. If there isn’t any clip, look for the product’s manual instruction for proper disassembly of the head. Make sure there aren’t any dents or cracks to the body. This also includes the foils, blades, and heads. If you see any damage, and if your product’s still under warranty, contact customer support immediately. Also look behind seals and gaskets for any potential damage. This completes the disassembling of the razor. What you need to do next is tap the head of the motor-driven razor to shake out the hair follicles, dead skin cells, and other bacteria. Use your index finger and gently bad at each side of the razor’s head. This should shake out most of the hairs lodged in the blades. Modern razors come with a small cleaning brush that you can dip in water and clean the blades. This micro-brush is made up of small, but sharp plastic bristles for easy cleaning. If there isn’t any micro-brush, a simple paintbrush should do the job. Remove all washable parts of the electric razor and clean under a running tap. If necessary, use lukewarm water or soap to clean each part. Next, let all the washable parts dry on paper towels for a few minutes and reassemble the motor-driven razor. You can even use a cleaning spray to lubricate the razor’s blades and other components. Check the instructions manual to see if that is possible. It’s important to clean and maintain your best razor at least once a week, in the same manner. Do not overdo the cleaning process because that can potentially damage the blades and the foil. Too much exposure to cleaning sprays and water can reduce the sharpness of the foil blades. Lastly, replacing each cutting part once every 18 to 24 months is essential. It keeps your at-home grooming tool in the best of conditions. Q. Should I shave against the grain? A. This is a popular question among men shavers. That is, whether you’re supposed to shave against or with the direction of hair growth. Contrary to popular belief, shaving against the direction of hair growth is the quickest way to close shave. But it does come with its fair share of disadvantages. For example, it can cause skin irritation and razor burns. Even if you think all your facial hairs grow in one direction, they do not. Hair grows in multiple directions, especially around the neck region. And when shave in the direction of the hair, you’re pulling the grain back on itself. This can cause ingrown hairs and damage the hair follicles. So which is the right way to shave? Well, the answer depends on how okay you are with potential skin irritation and burns. If not, then going with the grain is your best possible option. Before you start your first shave, examine the growth of your facial hair. Make use of your fingertips to feel the direction of the growth. And when using the electric razor, use gentle strokes and allow the foil to glide over your skin and not press down on it. The best of the best pick on the list is the Braun Series 7 790cc Shaver. It features advanced settings and 30,000 cross-cutting technique per minute. It’s also built with 8 directional speeds, all packed in a sturdy, portable, and waterproof body. It is our most-preferred shaver of the century. A lot of questions have been asked about using and taking care of a best motor-driven razor. And we’ve covered every nook of every question. 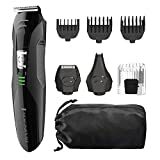 What you have now is the best electric shaver guide to rely whenever you want to upgrade to something better for your personal grooming needs. Whether you call it an electric razor or a shaver, the functionality of both are one and the same. A compact electrical appliance that comes with a set of blades and an oscillating motor to remove hair from the face. It’s also useful for trimming your beard, nose and ear hair trimming, and other hair removal grooming. Contrary to popular belief, women too have found motor-driven razors the most useful hair removal tool. Even though many women resort to laser hair removal, using an electric razor for hands, legs, and bikini line is effective. Having said that, we hope you found everything you were looking for in this article. From the big, decision-making answers to the tiniest details, this guide will keep you update on what works and what doesn’t. Also it lets you know how to use any best motor-driven shaving tool and its maintenance.